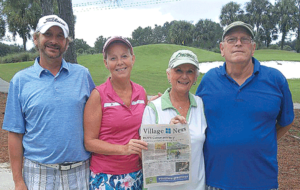 ABOVE: Brenda Andrs and Ronnie Wallace enjoyed their annual vacation at The Villages in Florida recently. Their relatives were delighted to have them an extra week due to Hurricane Florence making travel difficult. 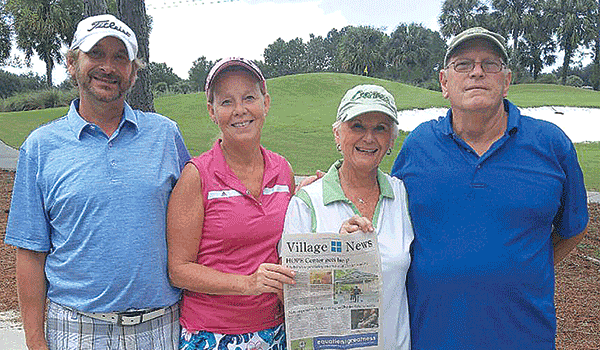 They enjoyed reading the Village News between golf games. 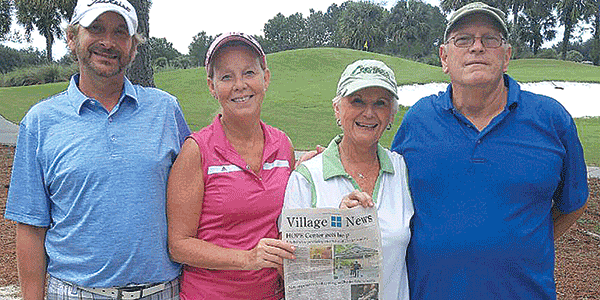 From left, Ronnie Wallace, Brenda Andrs, Celia Craft and Bill Craft.